Home Research Faculty Jianrong Lu, Ph.D.
Dr. Lu received his Ph.D. degree from the University of Texas Southwestern Medical Center at Dallas for his work on transcriptional regulation in development and disease, under the supervision of Dr. Eric N. Olson. He then joined the laboratory of Dr. Philip Leder as a postdoctoral fellow at Harvard Medical School, where he started cancer research. 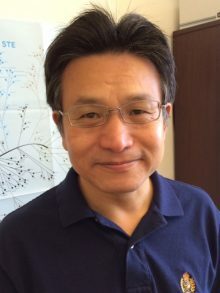 Dr. Lu joined the faculty at the University of Florida in 2005. Our research is aimed at understanding epigenetic and metabolic regulation of cancer progression and therapeutic resistance. Epithelial cancer cells can undergo phenotypic switching through a reprogramming process known as epithelial-to-mesenchymal transition (EMT). EMT confers increased invasiveness, metastatic potential, and drug resistance on cancer cells. We continue to identify and characterize molecular regulators (in particular epigenetic factors) and the outcomes of EMT in cancer. Cancer cells typically exhibit altered cellular metabolism such as the Warburg effect, which not only fuels tumor growth but also promotes metastasis and resistance to treatments. We are interested in elucidating regulatory mechanisms underlying metabolic abnormalities in cancer. Shenoy AK, Jin Y, Luo H, et al. (2016). Epithelial-to-mesenchymal transition confers pericyte properties on cancer cells. J Clin Invest. 126: 4174-4186. Luo H, Shenoy AK, Li X, et al. (2016). 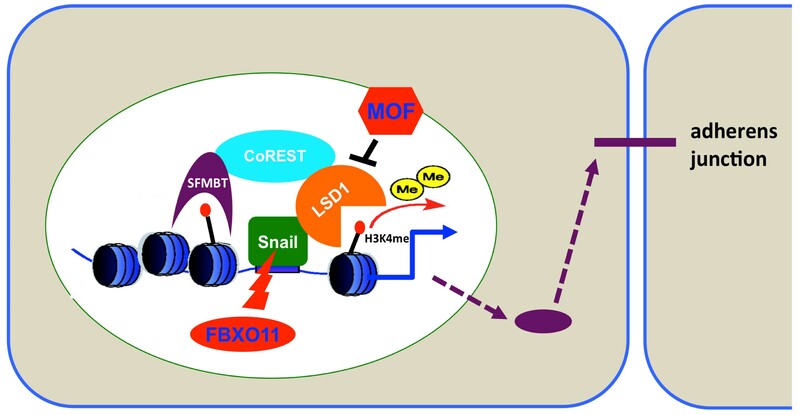 MOF Acetylates the Histone Demethylase LSD1 to Suppress Epithelial-to-Mesenchymal Transition. Cell Rep. 15: 2665-78. Lu J, Tan M, Cai Q. (2015). The Warburg effect in tumor progression: mitochondrial oxidative metabolism as an anti-metastasis mechanism. Cancer Lett. 356: 156-64.